For 27 years, the Guggenheim Museum’s Work & Process series has provided New Yorkers with unprecedented access to some of the most celebrated performing artists in the world by creating a forum where audience members not only experience the performances, but also get to see what happens behind the curtain with moderated discussions between the artists. Works & Process 2011 features nine events over the next five months (January-May), and kicks off a very dance centered series this weekend. The first event presents the Pacific Northwest Ballet from Seattle dancing excerpts from Peter Boal’s new staging of the romantic ballet classic, Giselle. Using reconstructed choreography based on Stepanov notation circa 1903 and French sources from the 1840s, the program runs January 9, 10. The opening performance will also be streamed live over the web (accessible on the Guggenheim’s website) beginning at 7 pm (EST) on Sunday, January 9. Other events of interest include John Zorn’s Music Interpreted (February 27, 28) featuring two commissions to Zorn’s scores by avant-garde choreographers Donald Byrd and Pam Tanowitz. Look for Tony award winning dancer Ashley Tuttle (Movin’ Out, ABT) in Tanowitz’s work. In addition to the two world premieres, Byrd, Tanowitz and Zorn will all be present to chat about their collaborations. Also be sure to check out How Judges Judge- Youth American Grand Prix (March 6, 7), and American Ballet Theatre- On to Act II (May 1,2). Both events invite the audience to delve inside the dancer’s head. 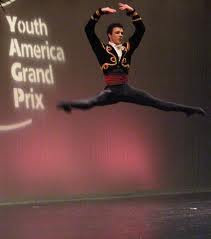 The Youth American Grand Prix is the world’s largest student ballet scholarship competition. The event will expose how the competition’s jury members select the winners as they critique an impromptu ballet competition in front of the audience. American Ballet Theatre has rounded up a panel of notable alumni to discuss what happens after dancers hang up their dancing shoes. A dancer’s dancer event, current ABT members will also perform excerpts from their upcoming Metropolitan Opera House season, so there’s something for every dance lover. Sara Murphy is a freelance dance writer and anthropologist in New York.